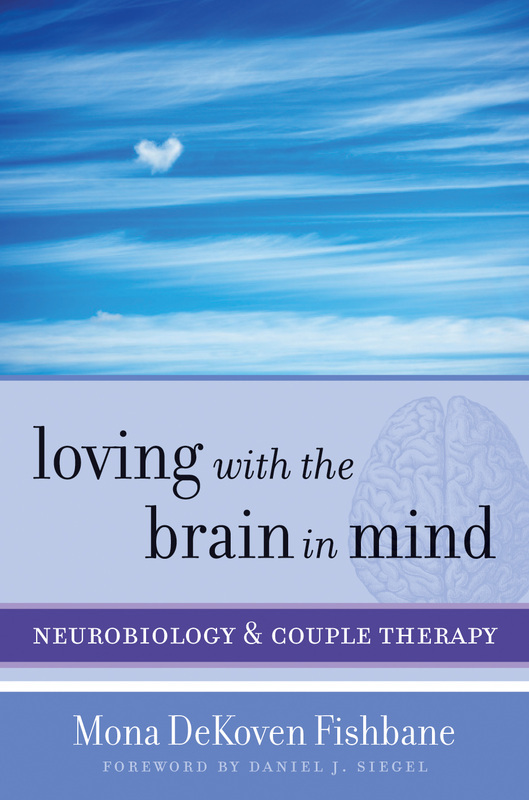 Mona's book, Loving with the Brain in Mind: Neurobiology & Couple Therapy, explores the connections between brain, body, and relationships. It offers a fresh perspective on loving wisely, "with the brain in mind," suggesting ways that partners can engage in "proactive loving" and actively nurture their relationship. Understanding how we become emotionally upset, defensive, and reactive, and how we can use our higher brain to calm down and make choices that are in keeping with our higher values, is at the heart of this book. The book is based on current research in neuroscience, and yet is readable and engaging. It is written for therapists—seasoned clinicians as well as students and trainees—and for couples who want to become more informed and empowered in their relationship. Clinical examples and therapeutic techniques are offered to help couples transform their interactions. It is available on Amazon. Just click the button below.